We had the opportunity to introduce our monitor, Stéphane Zunino, living legend of skydiving. 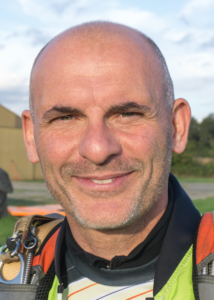 After more than 25 years in the sport, Zun is still as passionate and continues to jump as soon as he can, whether to train students or to push wingsuit flight ever further. We wanted to make a point with Zun about his involvement in the sport and in the industry. Hello Zun, we do not introduce you anymore, you are a legend of skydiving! A pioneer of the sport, you are at the origin of Wingsuit flying with Loïc Jean Albert and Patrick de Gayardon (aka Deug). 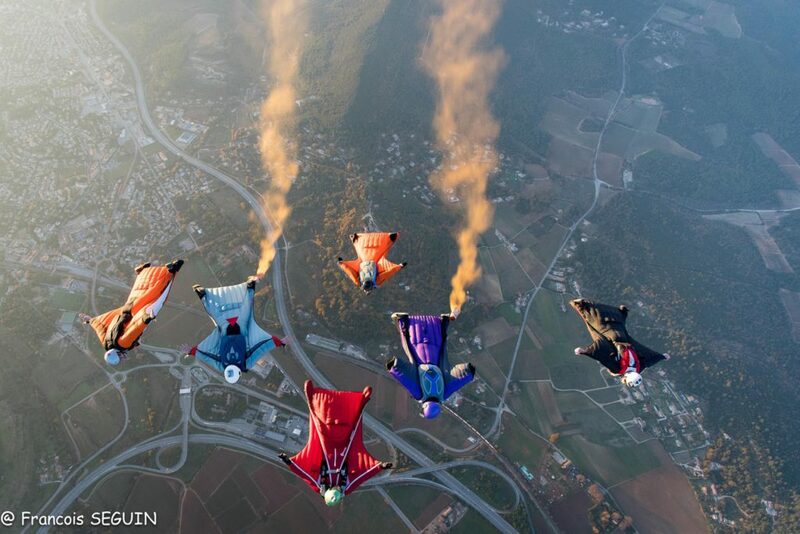 You worked for many years within S-Fly, the only French manufacturer of wingsuit. The company had to close due to too much foreign competition. You are now part of Squirrel’s team. Can you tell us your role at Squirrel? I went to Squirrel quite naturally following their outstretched hand to solicit me both for very specific development for some new models to come, and more generally to have a look at their range and advice and tips. I also participate in some events as a Coach through their school “Next Level Wingsuit“. 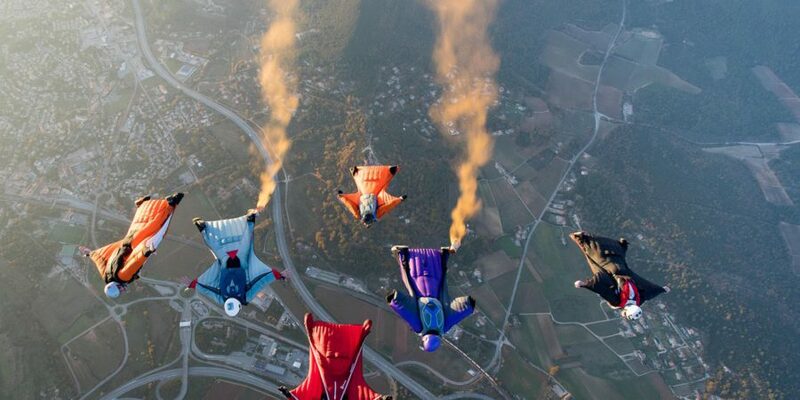 Where are you in the wingsuit development projects in France? We set up Tallard’s first Squirrel Test Center with, pretty soon, a full range of demo wingsuits in almost any size. This will enable everyone to try the wingsuit of his dreams! I also continue to conduct training sessions in France and elsewhere in Europe throughout the year. I also stay in touch with the FFP to work on changes in regulations and practices. When will the next record be in France? It is scheduled in 2019 in Pau. We decided not to organize any record in 2018 to give the participants time to prepare for this future project at 36 (as a reminder in 2015 we did 19, in 2016 25). What role does the Parachute Club de Cannes play in your projects? The PCC pushes its members to competition and financially supports the participants in the record attempts like the one programmed at the end of the year in Z-Hills for the world record. Ideas sprout to create a wingsuit demonstration team capable of making night jumps, air meetings … types of jumps that can be sometimes engaged and very visual at the same time! But for that, you need money and ideas!